MOORESVILLE, N.C. – (Aug. 14, 2018) – Eighteen-year-old Cole Glasson will make his ARCA Racing Series presented by Menards debut driving for Win-Tron Racing during the ARCA season finale at Kansas Speedway on Oct. 19. Glasson took part in the ARCA Racing Series test at Gateway Motorsports Park in Madison, Ill., in June, turning a handful of laps in the No. 32 GREE Cooling Products Chevrolet driven by Win-Tron Racing’s full-time driver and Elko Speedway winner Gus Dean. Following the successful test, Glasson continued to work with Win-Tron Racing to secure an opportunity to make his ARCA debut. That dream will become a reality on Oct. 19 at Kansas Speedway. Glasson’s No. 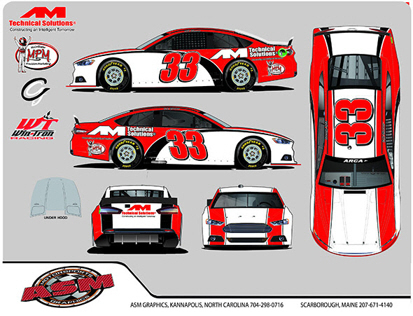 33 Win-Tron Racing Chevrolet will carry primary sponsorship from AM Technical Solutions, a construction management, project management and facility solutions firm for the high tech markets. Founded in 1994, AM Technical Solutions has more than a 20 year track record of delivering high complexity construction projects for many of the leading technology companies with proven success. Glasson has been racing since the age of 5. 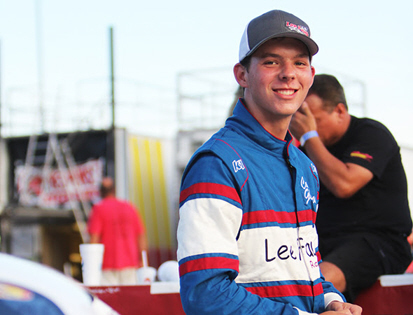 He started in kid karts and has steadily moved up the ranks, competing in karting events at the regional and national level, winning more than 100 races before transitioning to full-bodied stock cars in 2013. In 2016 Glasson began racing in the NASCAR Whelen All-American Series late model stock car division at tracks across the Southeast. In 2017 he joined Lee Faulk Racing and Development, a premier late model development team based in Denver, N.C. This year Glasson has raced predominately at tracks in the Southeast, including Hickory Motor Speedway, Greenville Pickens Speedway and Anderson Motor Speedway. He most recently competed in the CARS Response Energy Tour Throwback 276, finishing 11th in an all-star field. In the last two years he’s earned 18 top-five and 26 top-10 finishes in a late model. Glasson’s goal going into the ARCA finale will be to learn as much as possible during his first ARCA Racing Series start. The ARCA Racing Series presented by Menards Kansas ARCA 150 will be held Oct. 19 at Kansas Speedway in Kansas City, Kan., and will air live on FOX Sports 2 at 8:30 p.m. EST. About Win-Tron Racing: Headquartered in Mooresville, N.C., Win-Tron Racing is a professional race team entering its 11th season of motorsports competition located in “Race City USA.” Owned by former champion racer Kevin Cywinski, the team is competing in the ARCA Racing Series presented by Menards championship battle with Bluffton, S.C. driver Gus Dean in the No. 32 GREE | Baker Distributing Chevrolet. 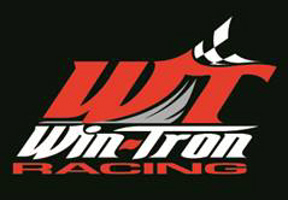 Learn more at WinTronRacing.com, Facebook or on Twitter @WinTronRacing.